President-elect Donald Trump and his transition team are just starting to shape governmental policy as it relates to the financial services sector. There’s little doubt that Trump’s election portends major changes from the Obama administration. During the campaign, candidate Trump vowed to repeal Dodd-Frank (Wall Street Reform and Consumer Protection Act of 2010) as is consistent with his deregulatory stance across a wide swath of U.S. industries. 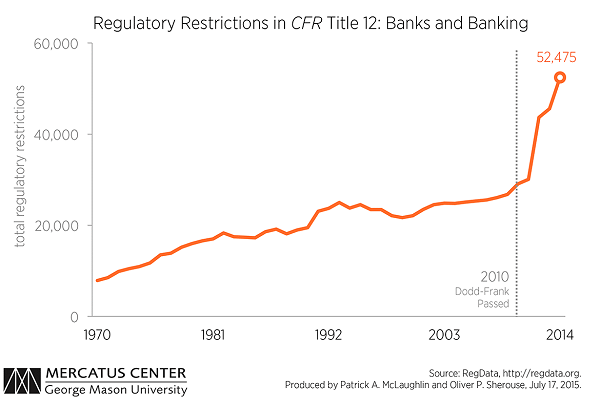 Reform of the Dodd-Frank law is more likely than a replacement of the entire act. Trump intends to focus on re-organizing the Consumer Financial Protection Bureau, and on changing the Volcker rule while easing compliance/regulations for community banks. Due to Senate rules for the minority, the industry should expect strong opposition to major changes from Democrats on the Senate Banking Committee. Tax and health care reform will actively compete for legislative oxygen, thereby making the role of the financial regulators critical until legislation can be passed. What follows is an overview of the specific targeted areas and the players involved. Given there will likely be delays in getting critical personnel in place, the Trump administration may find it difficult to have an immediate, substantial impact on the banking sector. But make no mistake, there will be significant effort to unwind large portions of the current regulatory structure. Just as tremendous uncertainty was created by the election, I believe the banking sector will experience a tremendous positive forward momentum, especially as it relates to reduced compliance costs, increased profits, and a stronger lending environment. To this point, the markets agree and have acted already. 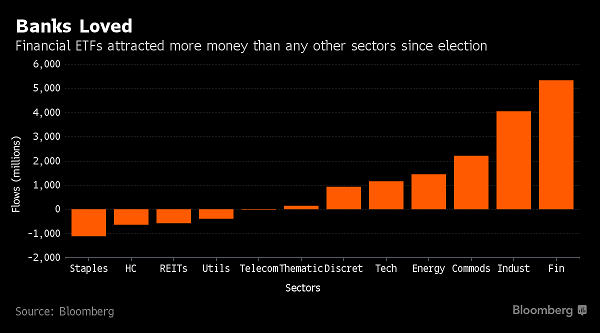 The chart below shows the significant number of funds flowing into financial ETFs since the election. As is the case with most spectator sports, you can’t tell who’s on the field without a scorecard. Below is a list of some key positions in the Trump administration (and nominees if announced), regulatory agencies, and Congressional Committees involved in the banking and financial services sector. A glimpse into the future of Republican Congressional changes should start with the Creating Hope and Opportunity for Investors, Consumers and Entrepreneurs Act, or CHOICE Act. This is a plan put forward by Chair Hensarling in 2016 and is a blueprint for 2017 Dodd-Frank reform. Provide an “off-ramp” from the post-Dodd-Frank supervisory regime and Basel III capital and liquidity standards for banking organizations that choose to maintain high levels of capital. Repeal sections and titles of Dodd-Frank, including the Volcker Rule, that limit capital formation. Consumer Financial Protection Bureau and Volcker Rule. Given the recent DC Circuit Court decision that held the CFPB’s structure was unconstitutional, momentum to reform the agency has been building. As well, the recent Wells Fargo investigations provide additional reasons for reforming the agency, among other reasons because critics say this shows the inability of the agency to regulate the industry in a way that protects consumers. Both the DC Circuit Court decision and the Wells Fargo investigations contribute and point to reform of CFPB. For Volcker, the CHOICE Act repeals the section, but doesn’t provide clarity about what would replace it. As trading was a major revenue center for banks, the change in the law would enhance profits and thereby, lending capabilities. However, Democrats are not likely to agree to the elimination of either Volcker or CFPB and will likely filibuster efforts by Republicans. Keep in mind, five federal agencies (Office of the Comptroller of the Currency (OCC), the Board of Governors of the Federal Reserve System, the Securities and Exchange Commission (SEC), the FDIC and the CFTC) have adopted the Volcker Rule and all five will need to agree to changes for them to apply broadly. Cyber security and financial technology. On 10/20/16, The Board of Governors of the Federal Reserve System (Board), the Office of the Comptroller of the Currency (OCC), and the Federal Deposit Insurance Corporation (FDIC) asked for comment on an advance notice of proposed rulemaking (ANPR) regarding enhanced cyber risk management standards (enhanced standards) for large and interconnected entities under their supervision and those entities’ service providers. The agencies are considering establishing enhanced standards to increase the operational resilience of these entities and reduce the impact on the financial system in case of a cyber event experienced by one or both of these entities. This is one area in which it’s likely the current regulatory regime will remain in place and likely be enhanced. Concerning Fintech, the OCC in December announced it would consider applications from financial technology companies to become special purpose national banks. 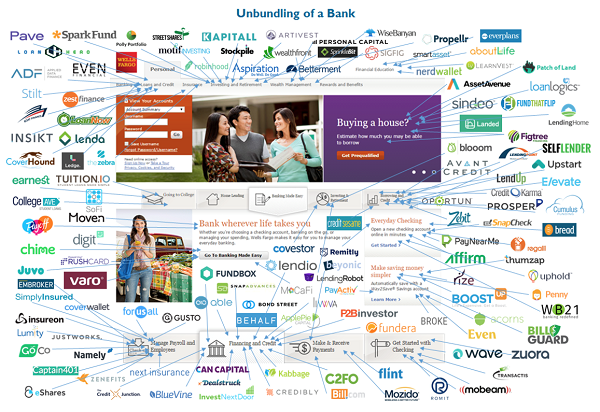 Below is an infographic of the explosion in financial technology firms in banking and highlights the difficulty regulators have keeping up with all the advancements. Re-introduction of Glass-Steagall. Both Democrats and Republicans had a section in their campaign platforms for reinstating Glass-Steagall. The populist measure is reflective of a belief by voters that it would ensure banks are not allowed to engage in risky behaviors such as those that created the 2008 financial crisis. It is unlikely to be part of Dodd-Frank reform, but may be used as a measuring stick by Democrats as to the effectiveness of the reform.